On Thurs­day, April 25th, 3 exhausted chil­dren dressed in rags fol­lowed by a frail granny hold­ing 2 very mal­nour­ished babies, limped into our food give out area beg­ging for help. The lit­tle boy, Mario, 4 yrs. old, was car­ried in my his 13 year old aunt, as the ALL NIGHT, 12 mile (20km) walk had exhausted him to the point that his lit­tle legs wouldn’t hold his weight. The scene was heart wrench­ing, know­ing that these kids used their last strength to get to us. Granny Feli­ciana, told us that she strug­gled through the rainy sea­son, scav­eng­ing food for her own 2 chil­dren and her 3 orphaned grand­chil­dren after her daugh­ter died Jan. 5th from an unknown ill­ness. Granny’s field of corn and beans yielded lit­tle in March, and she is now des­per­ate for help. All of them are in dif­fer­ent stages of mal­nu­tri­tion as well as ane­mic, and need­ing deworming. After get­ting them reg­is­tered, they were given a deworm­ing med­i­cine, and out­fit­ted with new clothes, includ­ing sweat shirts as the weather is already turn­ing cold here. When the kids got their “hood­ies” we saw the first smiles hit their lit­tle faces. Also given were the last 3 blan­kets we have, plus 3 grass mats, 2 cook­ing pots, plates/spoons/cups and food, includ­ing high pro­tein cereal and for­mula for both babies for a month. Granny was told she must find a neigh­bour who can walk the dis­tance to bring in orphan Baby Zinho for weigh­ing every 2 weeks as well as pick up more food for them. She could hardly walk after this last trip, and there is no way she could do it every 2 weeks. We loaded them up in our pick up and Capena, our office man­ager, took them to the local mar­ket to get them fresh bread rolls and the high pro­tein “bah-gee-ahs” (fried bean pat­ties) and then drove them home. A pack­age of sugar cook­ies brought the 2nd smile to their lit­tle faces. This fam­ily needs spon­sors to help Granny Feli­ciana, as she has a big job ahead of her if both babies are to sur­vive. 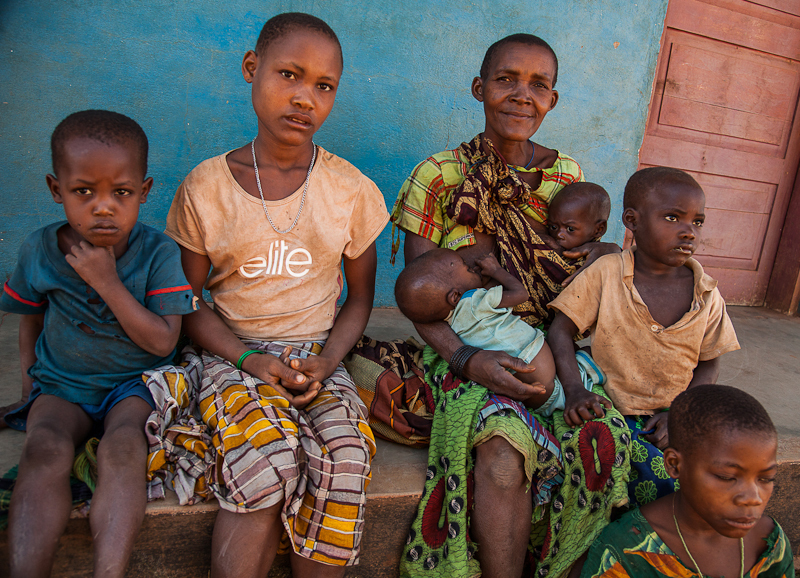 $20/month is needed for EACH baby (the 2nd baby, Joiza is her own child). Feliciana’s breasts are dry­ing up from mal­nu­tri­tion, but she shares what she has with both babies. The two orphans, Mario Tamino, 4 years and his Sis­ter Messina, 10 years need spon­sors at $30/month each. Thurs­day was Baby Day for sure, as 4 other new babies came in need­ing for­mula. One set of twins and 2 other sin­gle birthed babies. This is your Love Gifts at work. 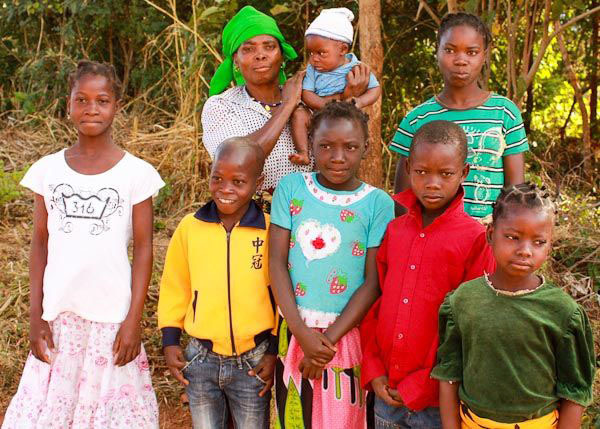 FAMILY PHOTO: Mario, 4, is far left, then his 13 year old Aunt, and then Granny Fel­i­cana hold­ing both 9 month old babies, Joiza on the left and orphaned Zinho on the right. 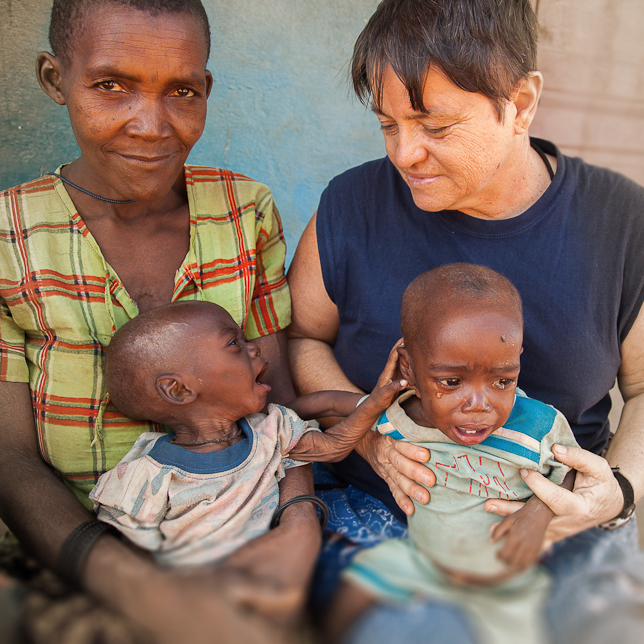 Feliciana’s son sits to her left and orphan Misssina, age 10 sits at his feet. Had 3 baby goats born this week. One set of twins (boy and a girl), as well as a sin­gle birth (male) by a first time “mommy goat” which was slightly pre-mature. The twins are lively and look like 2 fur balls on springs. The lit­tle pre­emie goat (1kg or 2.2 lbs) fought to live, but lost the bat­tle last night in his sleep. We are now at 111 goats total. Between the human babies and the goat babies, Nurse/Vet BBBrenda has been kept on the HOP! Know we all love and appre­ci­ate what all of you do to help us via prayer and your giving. BLESSINGS FROM BUSH BUNNY BRENDA AND HER BUSH BASHING BEAN TEAM Keep those prayers com­ing, as we still need to locate about 60 tons of beans. Happy Sum­mer Time to all of you in the USA! Keep cool! Happy Win­ter to all my South African friends! Keep warm, as it looks like it could be a super cold one. Moz. nights are already around 65 F. (20C) That’s really cold for our kids with their light weight cot­ton cloth­ing. Time to hunt up sweat shirts and long pants for everone. Might sound a bit weird to some of you, but the Lord Jesus tells us in the Bible to ASK ANYTHING IN HIS NAME, and it shall be done as long as we do not ask amiss. WE ASKED for beans for our orphans, and God is answer­ing in a very unusual way. 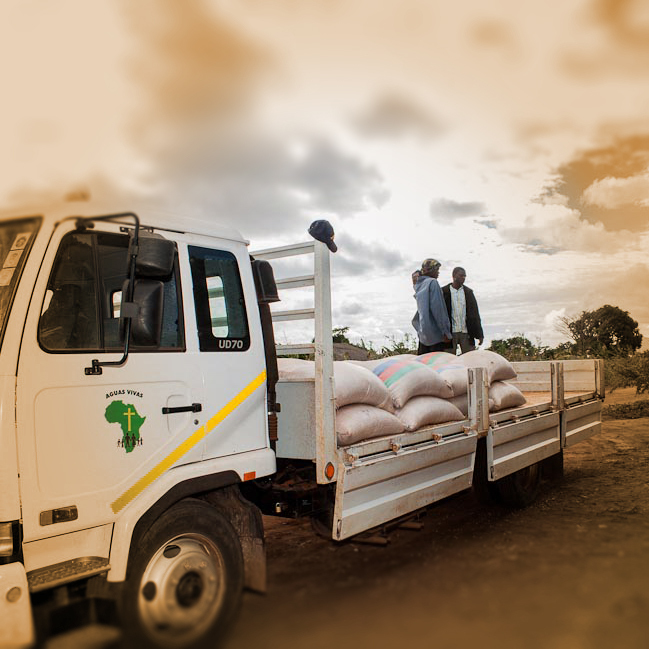 THE NEED IS FOR 100 TONS of beans if we are to help the 2,800 orphans that are reg­is­tered in our program. Capena, our Project Man­ager vis­ited the 6 vil­lages that “ordi­nar­ily” are able to grow the ENTIRE 100 TONS. It was a bit dis­turb­ing when his report showed that they “might” have 10 tons to sell. Too much rain is the cul­prit, as most of the crops drowned. THEN GOD STEPPED IN to sur­prise me with the fruit of my teach­ings from last year. Yes­ter­day, the 2 Pas­tors from the vil­lages of Namara and Pequaria came to tell us that their church mem­bers, along with some of the vil­lagers, had almost 21 tons they could sell! This is not a nor­mal grow­ing area for beans, so this took us all by surprise! When I was teach­ing in Namara last Novem­ber (plant­ing time), I showed those mem­bers how to walk their fields PRAYING as they planted. Their prayer was to be very specific—ASKING JESUS TO BLESS THEIR FIELD WITH A 100 FOLD HARVEST as they planted their seeds. From these reports it is obvi­ous, they did just that! WOW, to go from a nor­mal har­vest of just enough to feed their fam­i­lies to a SURPLUS of over 21 tons is truly a bless­ing of the Lord. My objec­tive when teach­ing was to help them achieve a max­i­mum har­vest that would sus­tain their fam­ily and give them extra to sell. I had no idea it would be OUR ORPHANS who would ben­e­fit from their obe­di­ence and the bless­ing that God placed on them. Our 2nd bit of wis­dom from the Lord showed us that the many of the local Balama farm­ers have a small amount they can sell. For the first time in over 8 years, we will buy direct from the pub­lic (1 kg at at a time), as they bring in what they have to spare. We don’t nor­mally do this, as it is very time con­sum­ing and labor inten­sive since many peo­ple only bring in a few pounds each. But our motto is, WE DO WHATEVER IT TAKES TO FILL OUR BARNS FOR THE KIDS. PTL, that the food is out there, we just have to find it. Our orphans in Meluco county, includ­ing the Ele­phant Vil­lage, will be totally depen­dent again on food from Balama. Just as we were get­ting too much rain, they had a mas­sive drought and most of their crops burnt to a crisp in the hot sun. THANKS FOR JOINING US IN PRAYING IN THE FINAL 70 TONS OF BEANS. The Bush Bunny’s next move is to have a BUSH BASHING BEAN HUNT! SAGA CONTINUES FOR THE TWO BABIES IN LAST WEEK’S BLOG Both babies are doing slightly bet­ter this week after being treated at the hos­pi­tal for ane­mia and mal­nu­tri­tion. The Balama Dr. still has no clue as to WHY they are not gain­ing weight, but the coun­selling given to the moth­ers seems to have done some good. The Eagle Eye Bush Bunny and her side kick, Nilza, (our trained Social Ser­vice staff mem­ber) will keep a close eye on them for sure. Thanks for all your prayers and con­cern for these 2 pre­cious lit­tle ones. ERIC RETURNS TO MOZ. FROM RSA WITH A CROWNED TOOTH APRIL 20th. 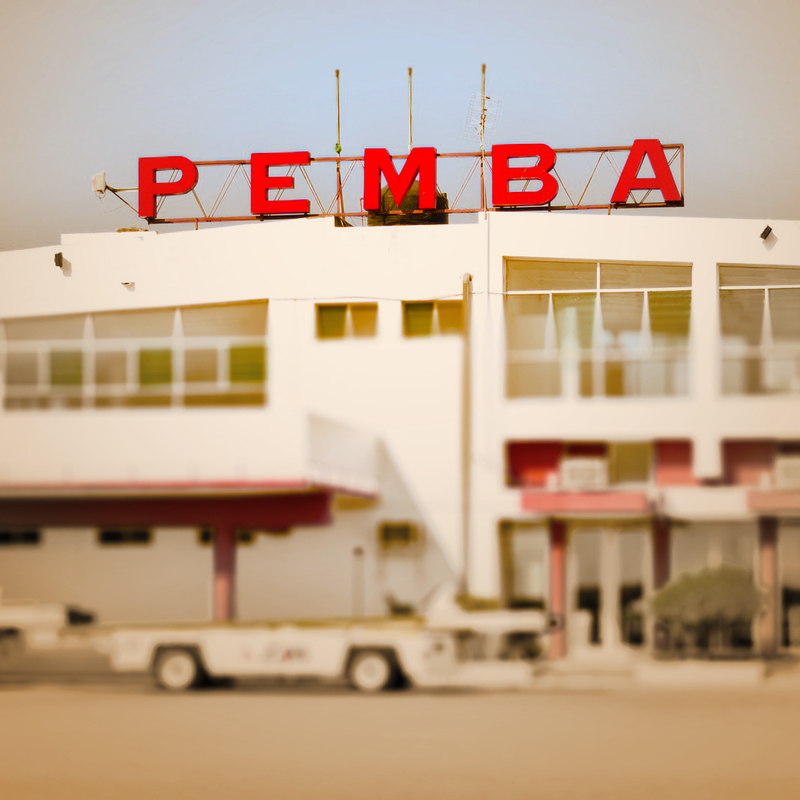 I’ll be in Pemba on Sat­ur­day (thus the early Blog this week), in order to fetch Eric at the Pemba air­port. We’ll do an “in and out” which means I drive the 3.5 hours to Pemba that morn­ing, buy sup­plies, and then fetch him at 2:30pm. The entire round trip is a tir­ing, 12 hour day on the road for me and my trav­el­ing crew. Linda Stan­ley will remain at the Balama base to “hold down the fort” while I’m gone. If you have any ques­tions you’d like to see answered in the blog, then please send them. I’ll do my best to answer them IN THE BLOG so that every­one can benefit. First, let me say it is GREAT TO BE BACK! Africa is home! We have our 3rd orphan com­pound to build and no time to waste doing it! 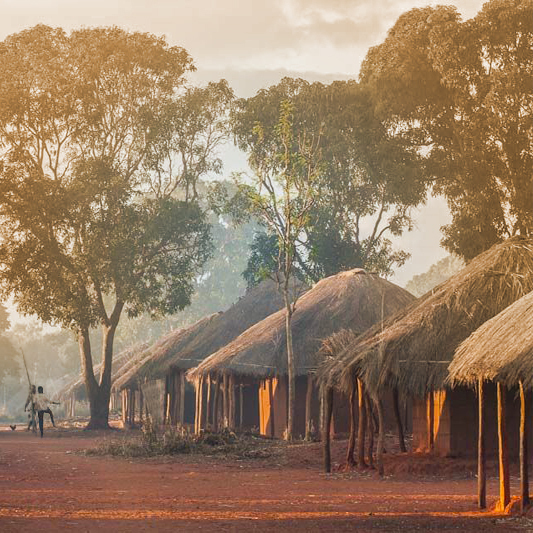 The rains have stopped and no time to waste as the Bible Schools are gear­ing up and the food har­vest is close at hand. Mon­day was a hol­i­day, so I spent it meet­ing with my con­struc­tion team lead­ers and set­ting up 4 dif­fer­ent Bible schools in 2 coun­ties with our Evangelist/Teacher, Pas­tor Alberto. On Tues­day, the car­pen­ters went to work remov­ing the roofs from the children’s homes. The trac­tor crew moved Assia’s (Ah-si-ah’s) house of orphans to the sub­sti­tute quar­ters just down the street from where they were liv­ing. Before the final fur­ni­ture was com­pletely moved, our car­pen­ters set an all-time record get­ting the roof off the boy’s house, and had started on the girl’s house by the time their 8 hours were up. On Wed., the brick lay­ers tore down the boy’s home and made short work of the girl’s home on Thurs­day morning. By Fri­day the entire area, includ­ing the old foun­da­tions, had been removed and the area was ready for the new con­struc­tion. As I watched the dust and dirt fly­ing as this awe­some team of men loaded the trac­tor, I thought back to Jack­sonville, Florida, where a prayer part­ner proph­e­sied over me that this year’s work was going to move at an accel­er­ated rate. No one had to tell me that this was God’s hand at work. I’ve never seen our work crews move at such a fast pace. On Mon­day, we will mark the new 60 foot home to be built with a large girl’s bed­room on one side and the boys new room on the other end. Their lunch room sits between the 2 bed­rooms with doors to all the rooms open­ing only to the out­side. I couldn’t be hap­pier as the expe­ri­ence we gained from last year’s con­struc­tion is mak­ing it much eas­ier to plan and exe­cute this year’s project. (We weigh and pro­vide for­mula and high pro­tein baby food each week to orphaned babies being cared for by their grand­moth­ers or aunts, as well as the babies of moth­ers who failed to make breast milk.) Check­ing in on the baby clinic this week, I was shown 2 babies who were stag­nant in weight gain (both about 10 lbs. (4.4kg) at 9 months of age). This is star­va­tion level with their sag­ging skin lay­ing limp on their lit­tle bones. With sev­eral months of high pro­tein baby cereal and baby for­mula behind them, this is NOT NORMAL. A call to Social Ser­vices orga­nized them an imme­di­ate med­ical eval­u­a­tion at the Balama hos­pi­tal. Whisk­ing them off to the hos­pi­tal in my pick up, the Dr. took them right in and con­firmed my diag­no­sis of extreme ane­mia in one baby, but the other child is a mys­tery. Both moth­ers are sus­pected of pos­si­ble neglect (not giv­ing all the food to the infants, but eat­ing part of it them­selves). This has hap­pened before, and is a hard case to prove. The 2 moth­ers were told to bring their babies back to the hos­pi­tal this Mon­day for fur­ther eval­u­a­tion. I’ll keep you informed on what is going on. Our hope is that this firm coun­selling and “hands on treat­ments” will be a wake-up call to the moth­ers and show them they must do bet­ter by their chil­dren. It is very sad when a mother neglects a baby so they can stay longer in our pro­gram. I never expected to be doing “social work”, but when you run a baby clinic or orphan pro­gram, the abuse prob­lems come with the territory. NEW FORMAT FOR THE 2013 BLOG I’ll be writ­ing each week’s hap­pen­ings every Sat­ur­day, so you can have the news to take to your churches on Sun­day morn­ing. If there are great mir­a­cles or other hap­pen­ings at our Sun­day ser­vices, I’ll quickly send you the story so you can share that also. ERIC HEADED TO RSA THIS WEEK Linda and I will be run­ning the whole show this Wed. to Sat­ur­day, as Eric has a bro­ken fill­ing and must fly to S. Africa (RSA) as no den­tal work short of pulling a tooth is done in our area. Don’t worry, we made up a whole list of lit­tle good­ies he can stuff in his lug­gage that will sup­ple­ment our “African cuisine”. Eric Dry and Linda Stan­ley picked me up at the Pemba air­port at 3pm yes­ter­day, and we had a great time talk­ing all evening to get caught up on all that has tran­spired for the last 10 weeks. Cus­toms in RSA was a breeze, and I thank the Lord for His favor. With 5 pieces of lug­gage (3 FREE BAGS due to Delta miles) at 65 lbs each (30 kg), plus my 2 carry on pieces, I walked on through as if INVISIBLE while cus­toms was stop­ping and search­ing many peo­ple with only 2 bags. (power of prayer!) I had noth­ing to hide, but the last thing you want after a 17 hour flight from Atlanta to South Africa is to be delayed with an inspec­tion! I was met by min­istry friends Clete and Sabas­tion, who grabbed the bags and rushed me off to catch the Gau-Train (pro­nounced How-Train). This is the over­head rail train that whisks you over the mas­sive high­way traf­fic in 15 min­utes to the south of Joburg where I stay when in RSA. By car, this same dis­tance at 6pm (my arrival time) can take 2–3 hours. A 2 day break with a lit­tle shop­ping, and bank­ing busi­ness, saw me over the jet lag and ready to fly on to Pemba on Saturday. IN PEMBA AIRPORT, I was given GREAT FAVOR! I now only have 2 bags plus my carry on. (the other bag is left in RSA in cool stor­age until Eric can fetch it with a truck in August. Eric had told me that the air­port was under­go­ing a mas­sive ren­o­va­tions, and that all pas­sen­gers were now directed to a tem­po­rary tent off to the side of the build­ing for Immi­gra­tion and Cus­toms. When I passed through cus­toms, the inspec­tor ordered me to place my 2 bags onto the counter. Nor­mally, I was expected to put them 3 feet onto the table, but the man grabbed my heav­i­est bag him­self, sav­ing me the strug­gle. With­out ask­ing me to open them (which is nor­mal), he asked me what was in them. I gave him a list and then he asked if I was a res­i­dent of Moz? I told him I was Brenda of Igreja Aguas Vivas in Balama. As soon as I said BALAMA, both agents smiled big and said OH, BALAMA, yeah, you are good, you may go! I don’t know these men at all, so I was stunned, but wasted no time get­ting the bags out the tent door! Eric told me later that the pre­vi­ous group to pass through had been held up for 2 hours with all the inspections. I’m very grate­ful to be HOME, and have already unpacked most of what I brought. Last year, it was 3 weeks before I had time to unpack, so I’m very grate­ful for a slower entry into this year’s work load. Mon­day is a pub­lic hol­i­day, allow­ing me to get com­pletely orga­nized before work­ers show up on Tues­day to begin the con­struc­tion of the final children’s com­plex that we had hoped to com­plete last year. Our Pas­tors reported last week that the corn har­vest is only mediocre and the beans are NON EXISTENT in Balama County due to heavy rains. With much work, and going deep, deep into the Balama bush, we should be able to get some corn. For beans, reports say that sev­eral vil­lages in another county has, but they are located deep into the bush north­east of us about 80kms (40 miles away) on not so good roads. Our prayers are for the Lord to show us WHERE to find the corn and beans and to be able to pur­chase it at a fair price. With hunger going to be ram­pant in this area, prices could get out of hand. I’ll keep you posted as we find out more.